Canadian Library Association Announces 2011 Book of the Year For Children Award Shortlist from the CLA. Peek: "This notable award recognizes a Canadian author of an outstanding book published in Canada in 2010, which appeals to children up to and including age 12. The winner of the award, and the Honour Books, will be announced prior to the National Canadian Library Association Conference and Trade Show. The award will be presented at the conference in Halifax, Nova Scotia on May 26 at the annual awards reception." Q&A with Franny Billingsley by Michael Levy from Publishers Weekly. Peek: "Once I found a geography, I could write it. I think that for some people geography is not so important, but for me, and for a lot of fantasy writers, the geography absolutely has to make sense in terms of the magical context or else you just can't go anyplace." Sunday Salon: Interview with Award-winning Author Jacqueline Woodson from Rapsody in Books Weblog. Peek: "A lot of times, when people send me books to read – new writers mostly – I find that the book is still in a draft stage and that before it can leave the writer’s hands and head to a publisher, it needs about five more revisions. Some people don’t want to do that. I rewrite my books until they’re mostly memorized so that’s a lot of rewrites, a lot of time spent with my stories." Source: Color Online. Newbery award brings Wichita author fame by Suzanne Perez Tobias from The Wichita Eagle. Peek: "After a handful of rejections from agents and publishers — and a first book titled 'My Grandmother Was a Spy' that never saw print — [Clare] Vanderpool found a taker for Moon Over Manifest (Delacorte, 2010)." Build Your Book: Children's Book Illustrators Have New Options by Mark G. Mitchell from How to Be a Children's Book Illustrator. Peek: "We talked with Ezra Weinstein and Richard Johnson of InteractBooks, a publisher of books for iPads back in December in Austin. Weinstein is a programmer, app developer and the son of a school librarian. His business partner Johnson has a background in the computer gaming industry." Congratulations to the Brown Bookshelf on Twenty-eight Days Later: A Black History Month Celebration of Children's Literature! 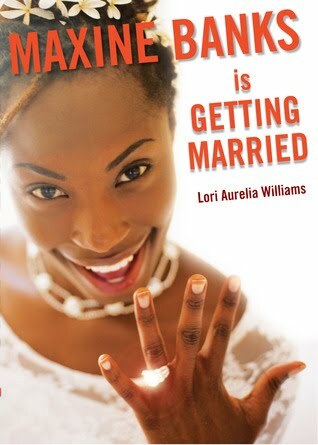 Learn about fellow Austinite and featured author Lori Aurelia Williams' latest book, Maxine Banks Is Getting Married (Roaring Brook, 2010). Reaching the E-Teen by Karen Springen from Publishers Weekly. Peek: "Slowly but surely, teens are buying e-books, though not yet as often as their parents are. Depending on the title, YA authors may see 5%–10% of their titles sell in e-form." Source: April Henry. Get the Most Out of Twitter in the Least Amount of Time: A 10-Tip Guide by Emlyn from Novel Publicity. Peek: "Why should you include hashtags with your tweets? Because they’re key search terms that other tweeters use to connect with new tweeters. They’re the single best way to get your tweets seen by those who don’t follow you already." Source: Janet Reid. Play By Play Narration by Mary Kole from Kidlit.com. Peek: "A large part of narration and storytelling is acting as a curator of the story. You’re supposed to maximize what’s important and minimize what’s not and keep directing your reader’s attention from paragraph to paragraph and page to page." Selling Out or Not by Brian Yansky from Brian's Blog: Writer Talk. Peek: "I am tired of hearing people say this writer or that writer sold out." 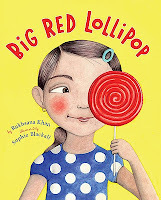 Rukhsana Khan talks about Big Red Lollipop, writing, and culture by Sarah Blake Johnson from Explorations. Peek: "I wrote this version in about fifteen minutes. She asked for the change in point of view, I complied, emailed it off, and thought nothing of it. Months went by and I assumed it would be another rejection, but it wasn’t. So this story took about ten years and fifteen minutes to write." 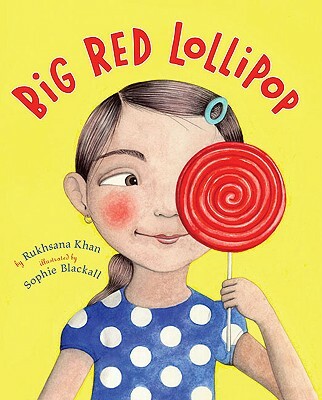 Note: Big Red Lollipop, illustrated by Sophie Blackall (Viking, 2010) is winner of the 2011 Charlotte Zolotow Award and the 2011 SCBWI Golden Kite Award for Best Picture Book text. Reminder: High school students/English teachers! Teen writers are encouraged to enter the Hunger Mountain Young Writers Contest. 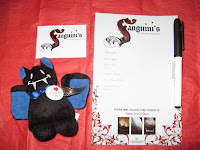 Three first place winners will receive $250 and publication! Three runners-up will receive $100 each. Note: I'm honored to be this year's judge. See link for more information. Hunger Mountain is the Vermont College of Fine Arts journal of the arts. Cynsational Blogger Tip: Double check the spelling of names. Especially authors and illustrators are byline conscious--our livelihoods rest with them. Don't assume that any name is spelled in the conventional way. Facebook for Authors: How to Get Started by Nathan Bransford. "Facebook recently introduced a new version of Like buttons that make them more prominent in someone's News Feed.... They just got much more important." Lola Shaefer, Author-In-Residence by Dianne from ReaderKidZ. See also Lola's Story. Peek: "After the first draft, I need to let it sit for a few weeks and then return with new eyes to the writing. It’s always apparent to me what I need to do next. But even then, I need to let that second draft sit and simmer..."
Self-Defeating Attitudes by Lucienne Diver from Authorial, Agently and Personal Ramblings. Peek: "I can’t always tell those who are going to succeed, but I can always see within a sentence or two those who will certainly fail…the people who want you to hear them but not vice versa. Those who don’t want constructive criticism or reasonable advice, even from the pros, because they already know better." Query Letter Crazy by Cory Jackson from Corrine Jackson YA Writer. Peek: "She extended some invaluable advice. I promptly sent out my revised letter to new agents. Within two weeks, I had seven agents asking for full or partial requests. I can only believe it’s the letter, so I offer this up to you in hopes that it helps." Source: Lupe Ruiz Flores. "Beastly" Movie with Photos by Alex Flinn from I Plan To Be A Diva Someday. Peek: "The red carpet was singularly surreal. Obviously, I've seen stars walk on the red carpet, but I've never really analyzed it before, so I'll just assume you haven't either and describe it to you." 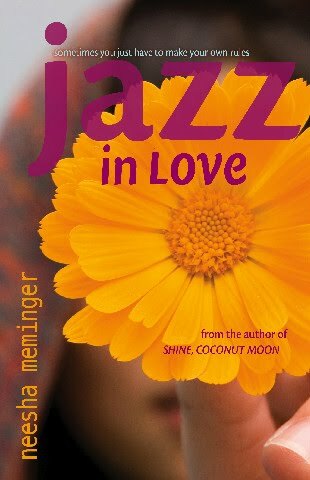 Neesha Meminger on YA Romance from Diversity in YA Fiction. Peek: "Would a YA romance featuring South Asian teens hit the kind of success that, say, Sarah Dessen’s novels have? Or Meg Cabot’s? Who knows? But the few times those types of stories have made it onto the US market (for teens, especially), they’ve done remarkably well." The Dreaded Author Bio by Rachelle Gardner on Rants & Ramblings on Life as a Literary Agent. Peek: "Your bio in a query should be brief. You don't have to include the time you won Most Valuable Player in Little League or the fact that you got all A's in Freshman composition. 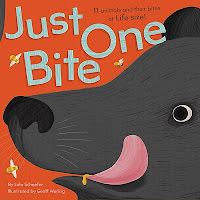 If you're a novelist, then the relevant things are..."
Enter to win an autographed copy of JoAnn Early Macken's new rhyming picture book Baby Says "Moo!" 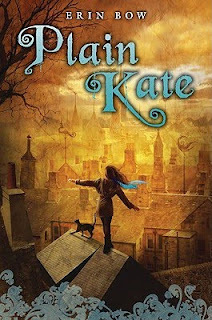 (Disney-Hyperion, 2011) at TeachingAuthors.com. School Library Journal said, "As they pass different animals, the parents ask their baby, who clutches a toy cow, what each creature says, and Baby always answers 'Moo!' . . . The rhyming text reads smoothly, and the acrylic illustrations are childlike and cheerful, making the book exactly right for toddlers." Booklist said, "Everything about this picture book—concept, story, appealing art—is pretty much perfect for the two-and-under set." Your Mother Should Know by Chris Barton from The Horn Book. Peek: "One document referred to “a letter from [redacted] dated 14 August 1944, in which she requested information concerning the whereabouts of her brother, Ferdinand S. [sic] Demara, who had been A.W.O.L. This was trouble." See also A Fine, Fine Line: Truth in Nonfiction by Tanya Lee Stone from The Horn Book. 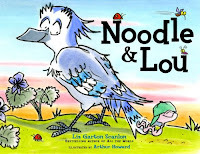 Congratulations to Liz Garton Scanlon on the release of Noodle and Lou, illustrated by Arthur Howard (Beach Lane, 2011). 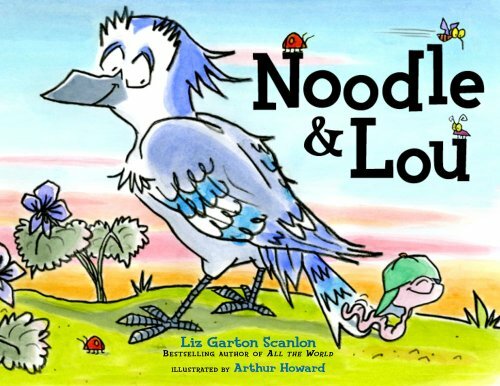 From the promotional copy: "Noodle and Lou are unlikely friends. One is a worm and one is a bird. When Noodle is having a bad day, Lou knows just what to say to cheer up his wormy friend and help him see what it means to be liked just the way you are." See interior excerpts. 2011 Books by Austinites: Updated and Revised by Greg Leitich Smith from GregLSBlog. Interview with Varsha Bajaj by Melissa Buron. Peek: "The size and diversity of India did make writing the book quite daunting. I grew up in India and wanted very much to portray it accurately. I made an effort to include aspects of India’s history, geography, and government as well as its popular culture, food and dress." How To Leave Meaningful Blog Comments by Jane Friedman from There Are No Rules. Peek: "...leaving meaningful comments on others' blogs or sites is a good way to attract attention to your own site, so it's helpful to be consistent in your approach and tone." Source: Phil Giunta. 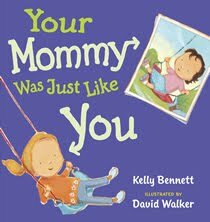 Congratulations to Kelly Bennett on the release of Your Mommy Was Just Like You, illustrated by David Walker (G. Putman's Son's, 2011). Peek: "Once upon a time -- according to Grandma -- Mommy loved getting messy, wearing kooky costumes, and collecting dandelion fluff. Sometimes she was a terror, but most of the time she was a sweet potato-doll face-poopsie. Just like her own little girl today! A much anticipated follow up to Kelly Bennett's highly successful picture book, Your Daddy Was Just Like You (2010)." See also Guest Post: Kelly Bennett on Celebrating Fathers: Daddy, Father, Pop, Son, Shel, Cash And Cole from Cynsations. Kidlit Celebrates Women's History Month: "...we are fortunate to have so many resources for our children to learn about women's history, everything from fabulous biographical picture books about remarkable women from the past to historical novels to fascinating history books written to especially appeal to young people. We hope this blog will help you identify some of these resources, learn about new books on women's history, and enjoy reflections by some distinguished authors in the field." Congratulations to Jo Whittemore on the sale of D in Drama to Aladdin! Children's Authors' Bootcamp, a weekend workshop for beginning and intermediate writers, will be April 30 and May 1 at the Best Western Inn & Suites in Austin. 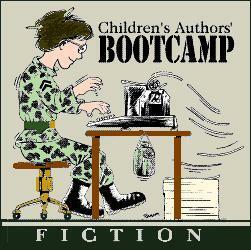 Bootcamp is led by Laura Backes, publisher of "Children's Book Insider, The Newsletter for Children's Writers" and award-winning author Linda Arms White. In two fun and info-packed days, you'll develop a solid foundation for writing fiction for children and young adults. Bootcamp covers creating characters and plots that sell; writing dialogue, description and point of view; show don't tell; editing your own work; writing cover and query letters; finding a publisher and much more. Cost for the weekend (includes lunches, snacks and handouts) is $269. Discounts on hotel rooms are available. See more information and register. Interview: Cynthia Leitich Smith from Smart Pop Books (formerly Teen Libris). 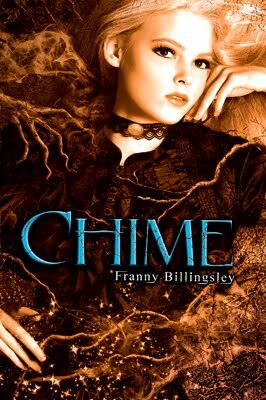 Peek: "The same big-picture fantasy rules applied, but I enjoyed crossing over characters from the previous books, seeing how their personalities and priorities meshed (or didn’t)." Enter to win an ARC of Blessed from Smart Pop Books! Deadline: March 8. Congratulations to Smart Pop Books on the redesign and relaunch! The winners of the Blessed Blog Tour Prize Packs are: Erin in Georgia; Teri in Oregon; Brynne in Ohio; Jill in Minnesota; Teresa in Ohio; Kayla in New York; and Michelle in West Virginia! Congratulations! Your prizes will go out on my next trip to the post office. 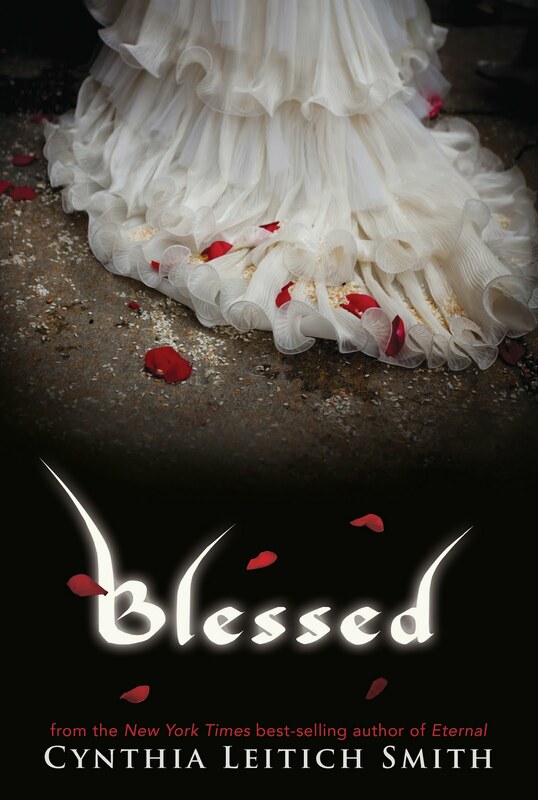 Did You Enter to Win a Copy of Blessed from YABC? See the list of winners! February set a YABC record for entries! Thanks for your enthusiasm and for supporting this great website. Thanks also to YABC and Candlewick Press! Thanks to Patti Kurtz and her Adolescent Literature students at Minot State University in North Dakota for virtually inviting me into your class Wednesday. It was great visiting with you! I really enjoyed your mix of questions and friendliness. Thanks also for reading Eternal! Blessed is available in Canada! You can order it here from Chapters or find an independent bookstore in your area! 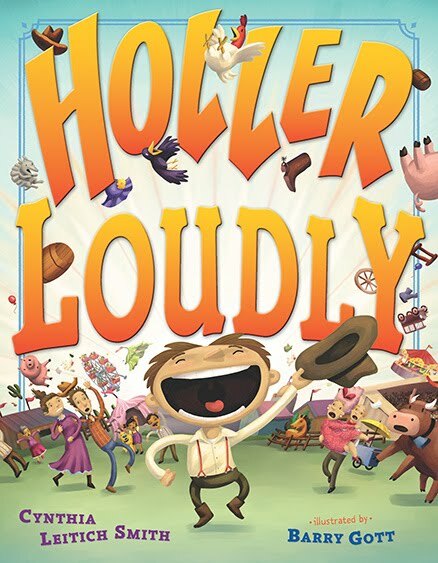 Color Online Picture Book Review: Holler Loudly by Cynthia Leitich Smith, illustrated by Barry Gott (Dutton, 2010) from Nathalie at Color Online. 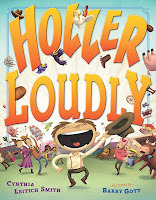 Peek: "Holler's face alone makes you want to laugh (he has the biggest mouth I've ever seen in a picture book). One of my favorite parts is the family portraits, which showcase that being loud can be transmitted from one generation to another..."
Texas Still a Literary Magnet by Steve Bennett from the San Antonio Express-News. Peek: "With all due respect to Bram Stoker, Austin author Cynthia Leitich Smith unites the casts of her young adult best-sellers Tantalize and Eternal in her new YA vampire novel Blessed (Candlewick, $17.99) Here, neophyte teen bloodsucker Quincie Morris is in the fight of her life — or undeath — while struggling to clear her best friend and true love — the hybrid-werewolf Kieren — of murder charges." Links of the Week: Ed Spicer and Teri Lesesne from The Texas Sweethearts; #4 from Gwenda Bond (the other three are well worth reading, too). "Jeanette Larson: Loving the Librarian" will be at 11 a.m. March 5 at BookPeople in Austin. Sponsored by Austin SCBWI. Peek: "Librarians can do a lot to help writers and illustrators do their work and get their books into the hands of readers. Learn the secrets of librarians from a 'semi-retired' librarian who continues to work with librarians across the country to improve services to patrons and the community. 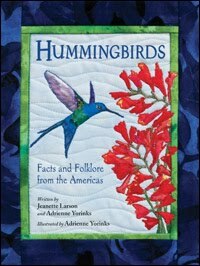 While she has written extensively for libraries, her first children's book, Hummingbirds: Facts and Folklore from the Americas (Charlesbridge, 2011), has just been published and she is seeing the world from the other side of the library shelf!" Jeanette's book launch will follow at BookPeople at noon and include refreshments and sample art pieces. See also an interview with Jeanette and Adrienne Yorinks by Donna Bowman Bratton at Writing Down the Kidlit Page. 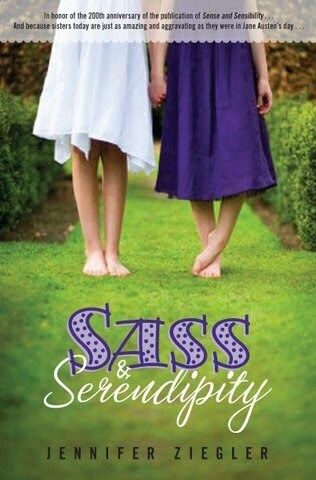 It's two YA authors for the price of one! Book now for the 2011-2012 school year and beyond! "From Classics to Contemporary:" a joint presentation offered by Cynthia Leitich Smith, author of the Tantalize series (inspired by Dracula by Bram Stoker (1897)) and Jennifer Ziegler, author of Sass & Serendipity (inspired by Sense and Sensibility by Jane Austen (1811)). The authors will discuss how they were inspired by these classics, why Stoker and Austen's themes are still relevant to teens/YAs today, the ongoing conversation of books over the generations, and much more. Look for our ad in the Texas SCBWI Speaker Source Book at the upcoming Texas Library Association Convention in Austin. Contact Dayton Bookings for more information and to schedule. >Don't assume that any name is spelled in the conventional way. The same goes for genders. I did an e-mail interview, and fortunately the person showed me the draft of the article before she sent it in, because she listed me as Mr. Eboch. Um, no. Yes, genders, too! Absolutely. Thanks for adding that! Most appreciated. My pleasure! Welcome to the conversation of books, and thanks for a great article!